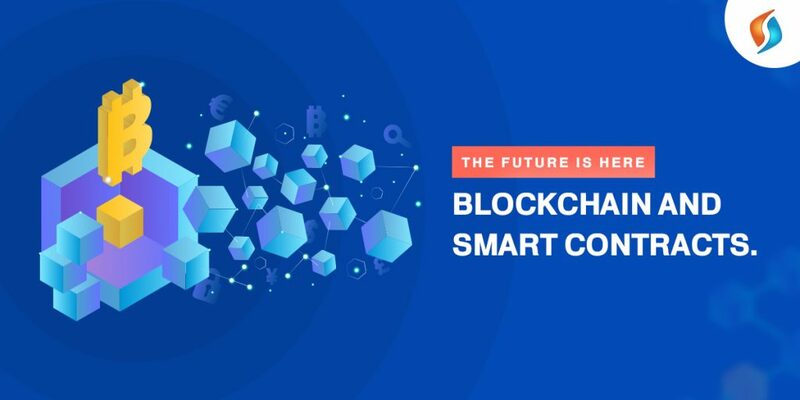 ﻿ The Future is Here: Blockchain and Smart Contracts. The Future is Here: Blockchain and Smart Contracts. If you have to name the most disruptive tech in decades, Blockchain is the answer. This ledger based technology is transforming the IT industry in a way not seen before. Though not a household buzzword, blockchain development services are creating noise lately in the form of cryptocurrencies. Might you have heard about bitcoins? Yes, the digital currency with groundbreaking exploits. Now the question is, what’s making blockchain technology companies so popular? What’s the USP of this technology? You know that security and transparency are the two critical issues in today’s digital economy. The blockchain is providing relief on both the fronts. To put it in other words, blockchain development services are removing the third party gatekeepers. With a decentralized network and numerous data blocks, there is no single control point. The digital transactions via blockchain are hack proof. This robustness of blockchain has given rise to Smart Contract development. Just like the traditional one, it’s a bond between two or more parties. The difference is, it’s enforceable by programming code. The agreements are distributed and decentralized on a network. This makes smart contracts tamper-proof. Not to mention, the smart contracts are much more than coded contracts. They offer a lot in terms of efficiency and security. Let’s have a look. The smart contracts are encrypted in a digital form. They are stored in various packets and distributed among nodes. This makes them difficult to hack. Also, the transaction records are tamper proof though you can retrieve them whenever you want to. The problem with traditional contracts is that they use natural language. There is always a room for ambiguity. These blockchain contracts developed by Smart Contract developer are non-ambiguous. You cannot change them once written. This characteristic makes smart contracts a very appealing option in today’s digital economy as they can help fight out copyright infringement. The parties bonded by a smart contract have full access to it. They can view the terms and conditions on their will. The smart contracts developed by blockchain technology companies are self-executing pieces of codes. Once written you cannot modify them. The decentralized nature of blockchain makes these contracts transparent yet immutable. With no room for tampering and hacking, the smart contract is a trusted technology. The network automatically executes these contracts. Error and manipulation of data are risky in digital transactions. This makes blockchain application development a must in today’s digital age. The smart contracts increase the efficiency of a process by removing third-party interventions. The middlemen in a value chain cause chaos. With smart contract development, you can eliminate this problem. Also, efficient transactions help in cost cutting. Hire the best Smart Contract Development Company! In the final analysis, blockchain and smart contracts are here to stay. They have revolutionized the digital economy. With time we are going to witness more benefits of smart contract development. We at Signity Solutions have years of experience working on blockchain technology. So, if you are also looking for blockchain technology companies, to incorporate smart contracts in your business, we have the best blockchain developer in India at your service. Feel free outsourcing to India and reach us here, and we will revert at the earliest.